Hypoglycemia in dogs is an emergency. In dogs and puppies, this can lead to seizures and coma and immediate quick treatment is necessary. Read on and learn more about the symptoms, causes, and treatment of canine hypoglycemia. Canine hypoglycemia refers to a state of abnormally low blood sugar in dogs. Sugar (glucose) is a primary source of energy for all bodily functions. 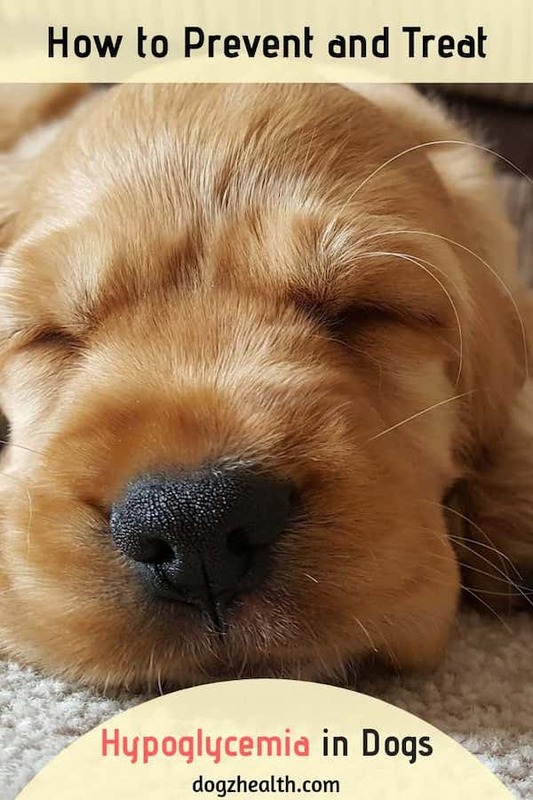 But the brain has little capacity to store glucose, so hypoglycemia in dogs can cause problems to the nervous system, resulting in seizures and even coma. Prolonged low blood sugar in dogs can lead to severe brain damage. What Should A Dog’s Blood Glucose Level Be? The normal blood glucose level of a healthy dog should be around 80 to 120 mg/dl. It could go up to 250 to 300 mg/dl if the dog has just eaten a big meal. Who Are More At Risk of Hypoglycemia? Hypoglycemia usually occurs in small dogs, especially toy breed puppies when they are young (from 6-12 weeks of age), because they are less able to store and mobilize glucose. In addition, toy breeds have more brain mass per body weight compared to other breeds. As a result, they need more glucose for brain function. Adult dogs who are overly exhausted due to sustained exercise or activities, and those who have certain underlying diseases (see below), can suffer from hypoglycemic attacks as well. In puppies, stress is a common cause of hypoglycemia. For example, a puppy may get stressed out when boarded in a kennel. Other common causes of hypoglycemia are things that may happen rather frequently (e.g. the puppy is too cold, too hungry, or too tired; or having an upset stomach). All these can easily cause hypoglycemia in puppies because the energy reserves in the liver are overly-taxed. A visit to the vet is advisable for puppies who have had repeated episodes of hypoglycemia. It is important to check if there is an underlying health problem (such as liver shunt, or enzymatic or hormonal deficiencies) that is causing the repeated episodes of hypoglycemia. If the puppy doesn’t have any underlying health problems, sometimes (but not always) when he gets older, this condition will disappear. Dogs with diabetes can suffer from hypoglycemia if given an excessive amount of insulin. Dogs suffering from Addison’s disease do not have sufficient secretion of the corticosteroid hormones from their adrenal glands. Insufficiency of these hormones can bring about hypoglycemia in dogs. Older dogs with unexplained hypoglycemia are likely to be suffering from insulinomas, which are tumors of the insulin-producing cells in the pancreas. These tumors can cause an increase in insulin production, resulting in low blood sugar levels. Sometimes, a dog suffering from a hypoglycemic attack does not show most or any of the above symptoms. In fact, episodes of hypoglycemic attacks often happen without much warning. For example, a puppy may be playing and suddenly it just goes into a coma. Or you may just see your puppy walking with a staggering gait. What Can I Give My Dog for Hypoglycemia? Quick action is essential to reverse the state of low blood sugar in dogs and puppies. The aim is to restore the blood sugar to its normal level. If the dog or puppy is alert and awake, you can give him a source of sugar such as corn syrup, honey, jam, or sugar water orally. You should see improvement in about 30 minutes. If not, take him to a veterinarian. If the dog or puppy is unconscious, dip your finger in some honey or corn syrup and gently rub your finger on the dog’s gums. Then take him to the vet at once. Do not give any sugary solution by mouth if the dog is unconscious because it will be inhaled, and may result in pneumonia. For a dog with hypoglycemia and is unconscious, the vet will give glucose intravenously to the dog to quickly restore the blood sugar level back to normal. Note: A dog with a hypoglycemic attack is likely to suffer from hypothermia as well, so be sure to keep the dog warm with a blanket. Can Hypoglycemia in Dogs be Treated? It depends on the cause. If it is caused by an underlying health issue, treating the underlying health problem can usually prevent the low blood sugar issue from happening as well. How Do You Prevent Hypoglycemia in Dogs? If your puppy is prone to hypoglycemia, be sure to get some oral glucose paste (available at drugstores) and keep it handy. 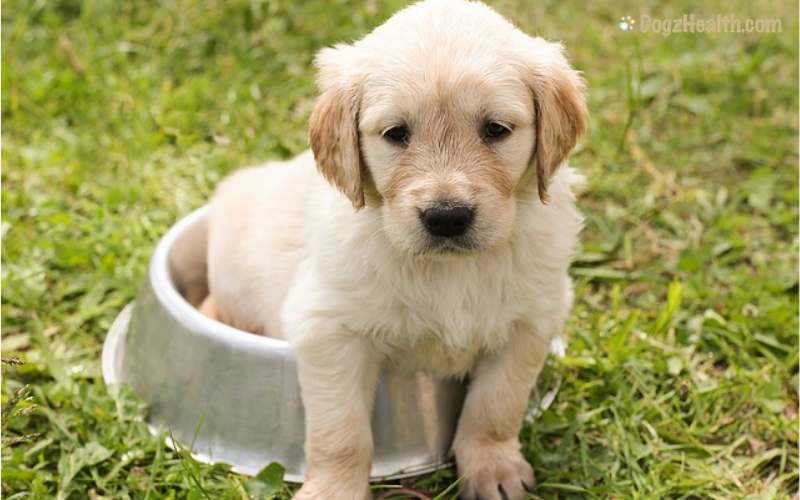 Feed your pup a diet that is high in carbohydrate, fat, and protein, and food should be given at least 4 times a day. Keep your pup calm and warm all the time, and do not over exhaust him by too much play or exercise.